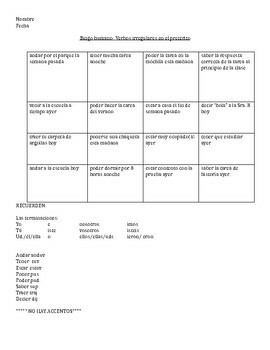 Get your students talking in Spanish with this human Bingo activity. It forces students to engage in conversation with multiple students as well as making sure they record answer. They can use it to make comparisons and connections. It focuses on the irregular preterite tense verbs.